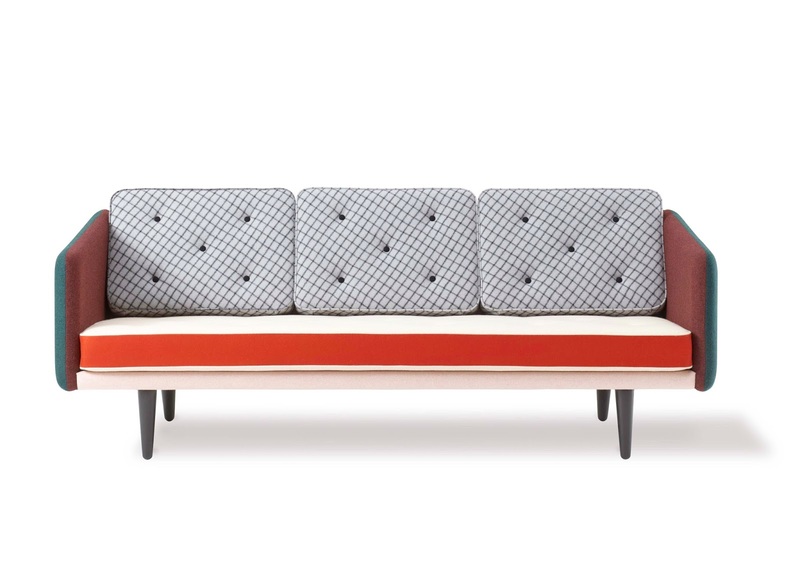 Fredericia continues to celebrate the renewal of its 103-year-old brand this spring, in which they are embracing colours, new collections and new partners. 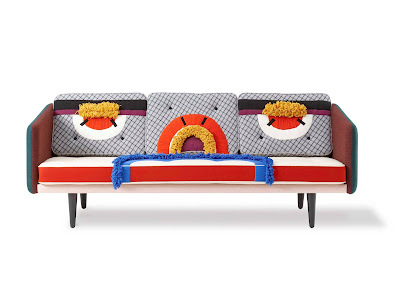 This May, Fredericia welcomes Henrik Vibskov and his artistic interpretation of Børge Mogensen's sofa No. 1. Fredericia defined as one of Denmarks oldest companies the Scandinavian furniture design. With sofa No 1 Børge Mogensen fusioned functionalism, clean design and a high aesthetical approach into an ever lasting piece of furniture. For the renewal Fredericia invited Henrik Vibskov to create an own interpretation and to give a new face to the design classic. 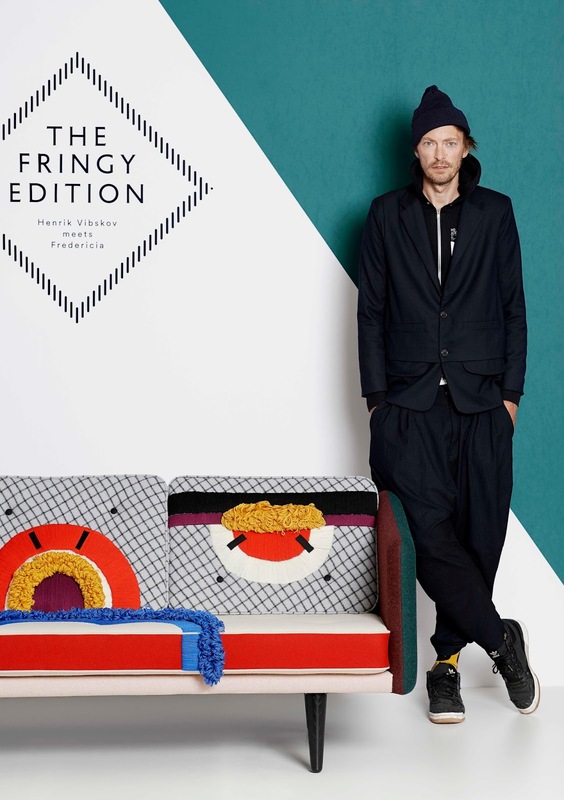 And that’s exactly what Denmarks most exceptional Designer did with the FRINGY EDITION. 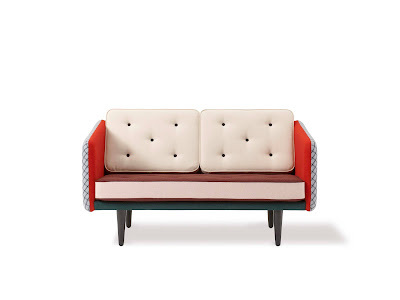 He personified the sofa with an imaginary expression, adding only few details, which modify the design classic according the Vibskov universe. All hand sewn in the Vibskov Copenhagen Studio. 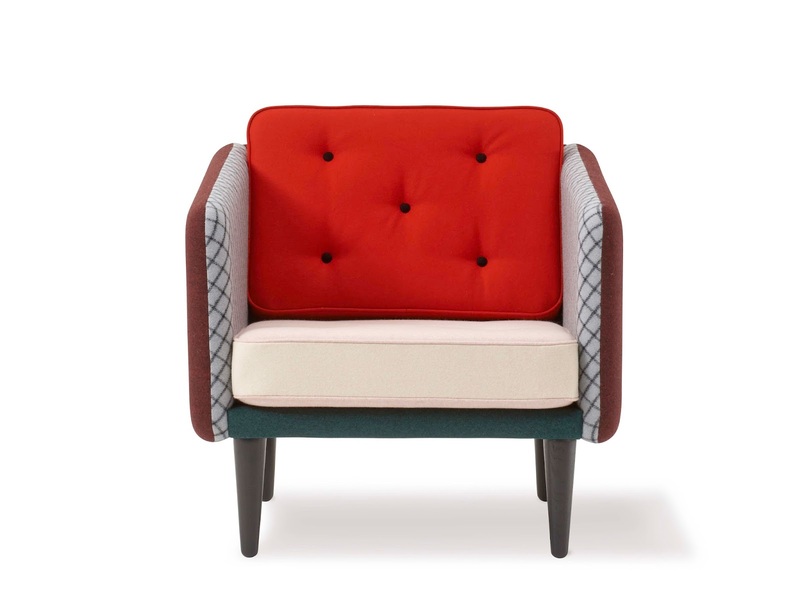 The creative process is based upon fabrics, supplied by Kvadrat from the Divina Melange series. 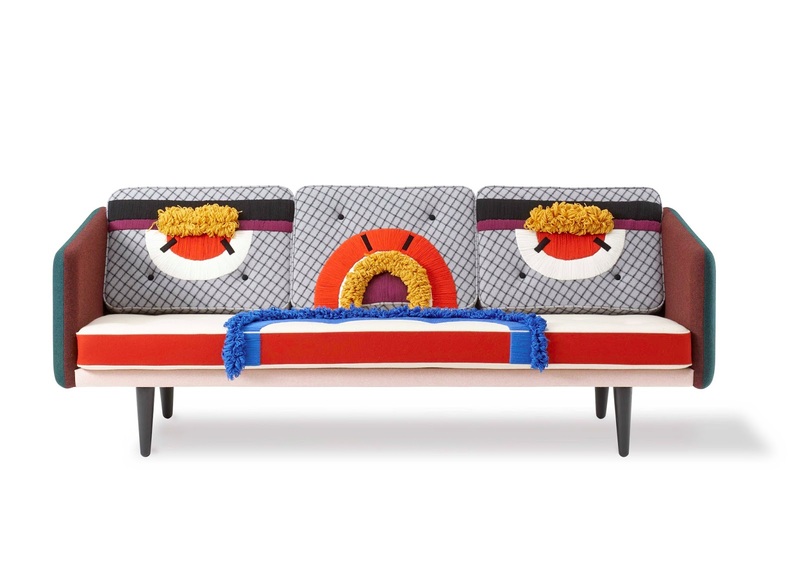 The sofa is thus consequently linked to Vibskovs vivid kaleidoscope of colours, patterns and overall expressions, while conservating Børge Mogensen defining line. The very special `Fringe Edition Sofa No. 1, as well as more other variations of ´The Fringy Edition` by Henrik Vibskov, will be put in production as a limited edition in 2015. The special Henrik Vibskov No.1 Collection embraces a two and three-seater sofa and an armchair, which will be available for gaze and purchase in carefully selected design stores in Scandinavia and Europe. Check out 'The Fringy Edition'! I think that different meetings might be really useful because you can find out something new. Last time my new friend advices me this.So pay attention on the importance of such meetings. Reach to this website if you are interested in CBE citation guide.